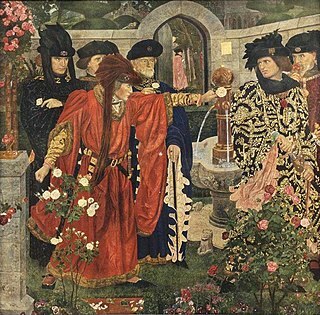 A monarchy is a form of government in which a group, generally a group of people representing a dynasty (aristocracy), embodies the country's national identity and its head, the monarch, exercises the role of supreme sovereignty. The actual power of the monarch may vary from purely symbolic, to partial and restricted, to completely autocratic. 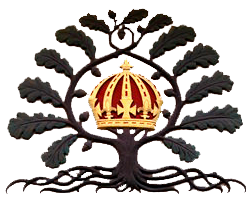 Traditionally the monarch's post is inherited and lasts until death or abdication. In contrast, elective monarchies require the monarch to be elected. Both types have further variations as there are widely divergent structures and traditions defining monarchy. For example, in some elected monarchies only pedigrees are taken into account for eligibility of the next ruler, whereas many hereditary monarchies impose requirements regarding the religion, age, gender, mental capacity, etc. Occasionally this might create a situation of rival claimants whose legitimacy is subject to effective election. 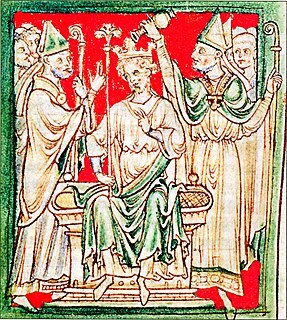 There have been cases where the term of a monarch's reign is either fixed in years or continues until certain goals are achieved: an invasion being repulsed, for instance. Military operations in World War II in Yugoslavia began on 6 April 1941, when the Kingdom of Yugoslavia was swiftly conquered by Axis forces and partitioned between Germany, Italy, Hungary, Bulgaria and client regimes. Subsequently, a guerrilla liberation war was fought against the Axis occupying forces and their locally established puppet regimes, including the fascist Independent State of Croatia and the Government of National Salvation in the German-occupied territory of Serbia, by the Communist-led republican Yugoslav Partisans. Simultaneously, a multi-side civil war was waged between the Partisans, the Serbian chauvinist Chetniks, the Croatian Ustashe and Home Guard, Serbian Volunteer Corps and State Guard, as well as Slovene Home Guard troops. 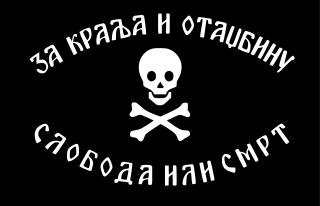 The Chetnik Detachments of the Yugoslav Army, also known as the Yugoslav Army in the Homeland or The Ravna Gora Movement, commonly known as the Chetniks, was a Yugoslav royalist and Serbian nationalist movement in Yugoslavia led by Draža Mihailović, which was anti-Axis in its long-term goals, and engaged in marginal resistance activities for limited periods. They also engaged in tactical or selective collaboration with the occupying forces for almost all of the war. The Mihailović Chetniks were not a homogeneous movement. The Chetnik movement adopted a policy of collaboration with regard to the Axis, and engaged in cooperation to one degree or another by establishing modus vivendi or operating as "legalised" auxiliary forces under Axis control. Over a period of time, and in different parts of the country, the Chetnik movement was progressively drawn into collaboration agreements: first with the Nedić forces in the Territory of the Military Commander in Serbia, then with the Italians in occupied Dalmatia and Montenegro, with some of the Ustaše forces in northern Bosnia, and after the Italian capitulation also with the Germans directly. The Chouannerie was a royalist uprising or counter-revolution in 12 of the western départements of France, particularly in the provinces of Brittany and Maine, against the French First Republic during the French Revolution. It played out in three phases and lasted from the spring of 1794 until 1800. 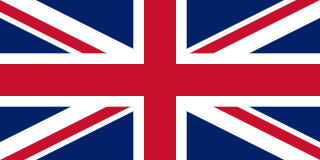 An Ultra-royalist was a French political label used from 1815 to 1830 under the Bourbon Restoration. An Ultra was usually a member of the nobility of high society who strongly supported the Bourbon monarchy, traditional hierarchy between classes and census suffrage against popular will and the interests of the bourgeoisie and their liberal and democratic tendencies. The FUNCINPEC Party (Khmer : ហ្វ៊ុនស៊ិនប៉ិច; French : Front uni national pour un Cambodge indépendant, neutre, pacifique et coopératif), National United Front for an Independent, Neutral, Peaceful and Cooperative Cambodia is a royalist political party in Cambodia founded in 1981. The party draws its inspiration from the political legacy of the former King of Cambodia, Norodom Sihanouk. In political science, a reactionary is a person who holds political views that favor a return to the status quo ante, the previous political state of society, which they believe possessed characteristics that are negatively absent from the contemporary status quo of a society. As an adjective, the word reactionary describes points of view and policies meant to restore the status quo ante. The Doctrinals was the name given during the Bourbon Restoration (1814–1830) and the July Monarchy (1830–1848) to the group of French royalists who hoped to reconcile the monarchy with the French Revolution and power with liberty. Headed by Royer-Collard, these liberal royalists were in favor of a constitutional monarchy, but with a heavily restricted census suffrage—Louis XVIII, who had been restored to the throne, had granted a Charter to the French with a Chamber of Peers and a Chamber of Deputies elected under tight electoral laws. The 16 May 1877 crisis was a constitutional crisis in the French Third Republic concerning the distribution of power between the President and the legislature. When the royalist President Patrice MacMahon dismissed the Opportunist Republican Prime Minister Jules Simon, the parliament on 16 May 1877 refused to support the new government and was dissolved by the President. New elections resulted in the royalists increasing their seat totals, but nonetheless resulted in a majority for the Republicans. Thus, the interpretation of the 1875 Constitution as a parliamentary system prevailed over a presidential system. The crisis ultimately sealed the defeat of the royalist movement, and was instrumental in creating the conditions of the longevity of the Third Republic. Monarchism in France is the advocacy of restoring the monarchy in France, which was abolished after the 1870 defeat by Prussia, arguably before that in 1848 with the establishment of the French Second Republic. The French monarchist movements are roughly divided today in three groups: the Legitimists for the royal House of Bourbon, the Orléanists for the cadet branch of the House of Orleans and the Bonapartists for the imperial House of Bonaparte. A Bonapartiste was a person who either actively participated in or advocated conservative, monarchist and imperial political faction in 19th century France. The Appel au peuple (Plebiscite) was a Bonapartiste parliamentary group during the early years of the French Third Republic. They advocated a plebiscite by which the people would choose the form of government, which they assumed would be a revival of the Second French Empire. They were a significant force in the 1870s and 1880s They were associated with Boulangism and the right-wing Ligue des Patriotes. There was a brief revival of the Appel au peuple in the 1900s. Although the members supported universal suffrage, believed in advancement based on merit rather than birth, and had diverse views on other subjects, they were generally conservative. Many of them believed in the virtues of family, religion, free trade and private property.